Thrive Leads Review: Is It The Ultimate WordPress List Building Plugin? List building is crucial for anyone running an online business. Whether you run a blog or have an e-commerce store, growing your email list is very important. Building an email list is simple but not easy. You can find tons of information out there on list building methods. Some of these methods include using pop-ups, content upgrades, fly-ins etc. And that’s all good. But what about the tools to use for growing your email list? There are many tools available but which one is the best? In this article, I’m going to review on such tool called Thrive Leads. You may have heard about how Thrive Leads is one of many list building plugins in the market. 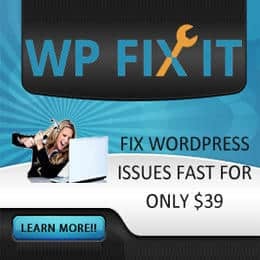 But is it the ultimate WordPress list building plugin? Thrive Leads is a lead generation plugin for WordPress. 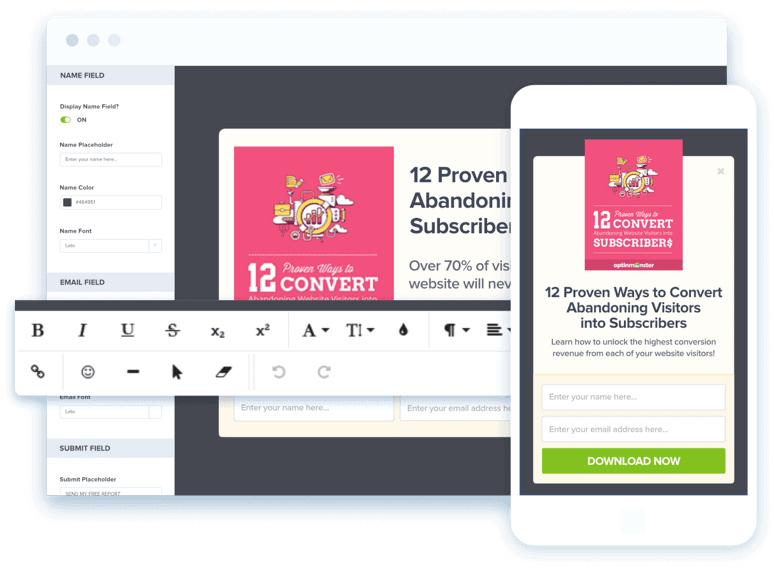 With this plugin, you can grow your email list by showing pop-ups, fly-in, header bars, welcome mat, and more. Thrive Leads was built in such a way that you witness explosive list growth by the conversion-focused methods it uses to help you build your list. The elements, templates, and everything else in Thrive Leads is built in such a way so that you can get a high conversion rate and grow your list fast. Let’s straight up jump into the features of Thrive Leads. Thrive Leads is famous for the features available in the plugin. From a drag-and-drop editor to advanced analytics, you would be surprised by the amazing features it has to offer. Here are some great features of Thrive Leads. Unlike many other list building plugins, Thrive Leads provides a drag-and-drop editor to help you create your opt-in forms with ease. You can click on any element and customize it easily. Adding new elements is easy too. The drag-and-drop editor makes customization of forms really easy and fast. You can customize options like font, color, hover effects, shadow, and more. The drag-and-drop editor also helps you set a different design for different screen sizes. A big problem with many list building plugins is that they don’t provide targeting options. This means an opt-in form that you created for a specific page will be displayed everywhere. Thrive Leads solves this pain point by offering precise targeting options. This way, you can show your visitors the right offer at the right time. This not only helps in improving conversion rates but you can also create segmented email lists. With precise targeting, you can show your opt-in on specific categories, tags, posts, and pages. You can select “show on all posts/pages” or show on any specific post/page. So, you decided where to show your forms. But how and when? With Thrive Leads, you can set advanced triggers for your forms. This gives you command over how and when to show an opt-in form. Exit Trigger: Show an opt-in when the visitor is leaving your website. Time Trigger: Show your opt-in instantly or after a certain amount of time has passed. Scroll Trigger: Show your opt-in when the visitor has scrolled to a specific part or percentage. Click Trigger: Show your opt-in when the visitor clicks a button or link. These triggers help you further customize the way you display forms on your website and hence improve conversions. There are only a few list building plugins that provide A/B testing. And Thrive Leads is one of them. In fact, Thrive Leads helps you perform A/B tests in the best way possible. You can test various things in Thrive Leads. Some of them include different form types, triggers, design, and content. On top of that, you can also test an entirely different offer. And all this happens on autopilot. You just have to create and select the forms to test and forget everything. Thrive Leads will select a winner automatically based on the time when the test was running. You can test more than two variations and monitor them easily. So you’re worried whether Thrive Leads integrates with your email marketing service provider? SmartLinks is the feature that makes me love Thrive Leads even more. It’s hard to find a feature like this on other list building plugins. With the SmartLinks feature, you can display different offers to the visitors who are already your subscribers. So, let’s say you have an opt-in form in your sidebar. With SmartLinks, you can choose to hide that opt-in to visitors who are already your subscribers or display a completely different offer. This helps in upselling to your existing subscribers. Exit intent pop-ups are sometimes annoying and Thrive Leads found a way to make sure you get a good conversion rate for exit intent pop-ups. With SmartExit+, you can set when the pop-up is displayed. SmartExit+ lets you create exit intent pop-ups for mobile devices too. This can be done by creating a timed trigger. With Thrive Leads, you can create opt-in forms for different screen sizes. This includes mobile devices and tablets. You can completely control what’s displayed on your mobile opt-in form. You can also control what type of forms are shown on mobile devices. Thrive Leads lets you enable lazy load for all your forms. This means that the entire page will load first before sending a request to load the forms. Lastly, Thrive Leads comes with a ton of templates for different templates. Want to promote your ebook? There’s a template for that. Promoting a webinar? Thrive Leads got you covered. There’s a template for every purpose. Let’s look over the different types of forms available in Thrive Leads. A ribbon is a bar at the top which remains sticky as you scroll down the page. It is much less intrusive way of growing an email list. 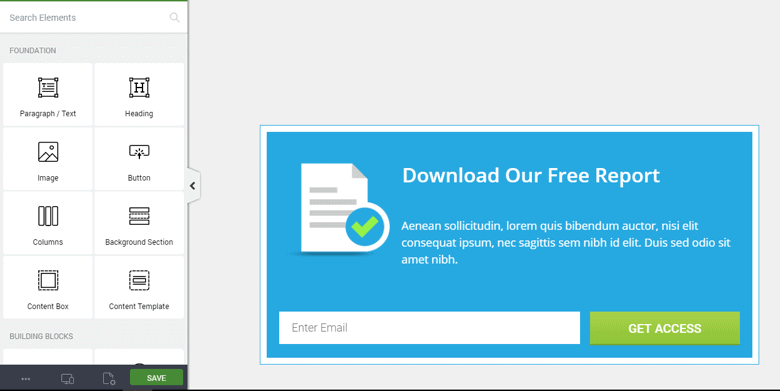 This way you can make your content optimized for lead generation by adding a pop-up lightbox that isn’t even annoying at all. You can display any message in your ribbon. It can be an opt-in form, timer, or anything else. Ribbons can be triggered so that your visitors don’t see it just as they load your website. Widgets can be displayed anywhere in your content and on the sidebar too. This is the most common way of building an email list. But with Thrive Leads widgets, you can do a lot more. You can run A/B tests and show relevant forms on each page. A slide-in is an opt-in form that slides from the bottom right of the page. It is a less intrusive way of list building and is very effective. Slide-ins can also be timed by setting triggers so they show up at the right time. If you want your visitors to see your opt-in form, then Screen Filler Overlay is the best way to do it. This unignorable opt-in form covers the whole screen. This is perfect for promoting a new offer to your visitors or welcoming a new visitor to your site. Have you seen those Yes/No opt-in forms? Well, these are multiple choice forms and Thrive Leads lets you create such forms. With these forms, you can present a question to your visitor. The visitors who clicked on yes will be the ones who will be added in your email list. With in-line forms, you can display your opt-in form anywhere in your post using shortcodes. This is a perfect way for converting your visitors. You can use in-line forms for offering content upgrades. Two-step opt-in forms can be used by using Thrive Lightboxes. A two-step opt-in form basically requires two steps. The first step is to trigger the lightbox and the second is to fill in the form. This is very effective in landing pages or when you have an offer and want to convert the visitor without annoying them. A scroll mat is a type of opt-in form that appears at the top of the page pushing the content down. It’s much like a screen filler overlay. You can use it to welcome your new visitors or promote a new offer. Content lockers are very famous and widely used. Many people use social content lockers. Though they are a good way of getting social shares, they aren’t that effective. In Thrive Leads, you can create a content locker to grow your email list. You can lock test, images, or any other multimedia behind an opt-in form. Go to your Thrive Leads dashboard. This is what your Thrive Leads dashboard looks like. As you can see, there are many options available. Let’s create our first opt-in form. First, we’ll create a lead group. Click on the “Add New” lead group button. 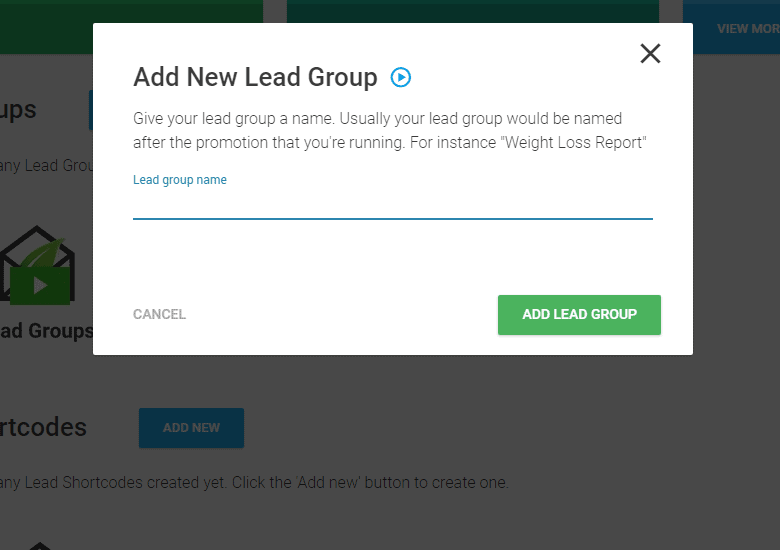 Give a name to your lead group and click on the “Add Lead Group” button. Now, you can see that your lead group is created. Let’s create an opt-in form for the lead group. Click on the “Add New Opt-In Form” button. Select the type of opt-in form you want to create. I’ve selected in-line opt-in form. Next step is to add form for your opt-in. Click on the “Add Form” button and give a name to your form. You can see that the form has been created. There are options to set the trigger and the position of the form. Click on the “Edit Design” button to design your form. You can now select the template of your form or start from a blank design. You can modify the design by adding new elements. Once you’re done with the design, save it and go back to your Thrive Leads dashboard. So, that’s how you can create an opt-in form in Thrive Leads. As you can see, it’s very simple and literally takes a few minutes. The templates and the drag-and-drop editor make everything effortless. Let’s now talk about the Thrive Leads documentation and support. Thrive Leads is a part of Thrive Themes and they have done their best to provide you with everything in case you need any help. They have a very detailed knowledge base with over 50 articles just for Thrive Leads. On top of that, Thrive Themes has a support forum for their customers so that you can ask questions and get your answers quickly. Lastly, there are video tutorials on using Thrive Leads and what not. In a nutshell, Thrive Themes have nailed their documentation and support game by providing everything you might need when using Thrive Leads. So, the million dollar question. How much does Thrive Leads cost? You can get the single site license for Thrive Leads for just $67 which is really affordable compared to other list building plugins available in the market. To use Thrive Leads on 5 sites, you can get the 5 site license pack for $97. Lastly, you can also get the 15 site license for $147. And if you’re someone who loves Thrive Themes products, you can get the Thrive Themes membership which includes all their products for $19 / month. With this membership, you can use their products on up to 25 websites. Here’s a list of pros and cons in Thrive Leads list building plugin. It might be surprising to you that I only mentioned one con for Thrive Leads. That’s because I didn’t found any flaws when using the plugin. So are there any alternatives to Thrive Leads? Of course there are. One of the best alternatives is OptinMonster. With OptinMonster, you can grow your email list by displaying opt-in forms of various types on your website. It also has a drag-and-drop editor and is fully responsive. OptinMonster comes with 65+ predesigned templates that you can use to create forms right away. Just like Thrive Leads, you can run A/B tests, set triggers for forms, and more. OptinMonster is also compatible with hundreds of email marketing service providers. There’s no doubt that OptinMonster is just as good as Thrive Leads. But it falls short when it comes to the pricing. OptinMonster costs $9 per month for one site which is expensive than Thrive Leads. There is no one-time payment which means you’ll have to pay monthly. Plus, the most basic $9 per month plan doesn’t include all the features. On the other hand, regardless of the plans, Thrive Leads offers all the features. This is where Thrive Leads won the race of the ultimate list building plugin against OptinMonster. Conclusion: Is It The Ultimate List Building Plugin? 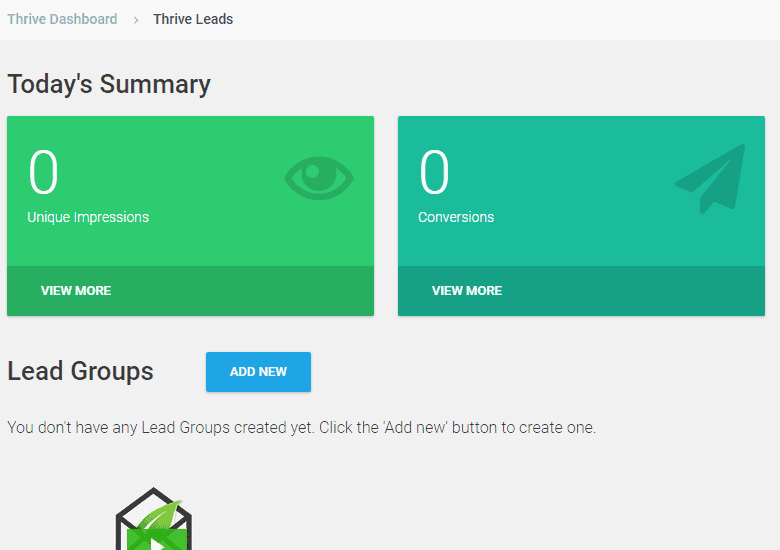 So, if you’re looking for the best list building plugin for WordPress, Thrive Leads is the one. It provides all the features you could think of and is the best when it comes to creating conversion-focused forms. 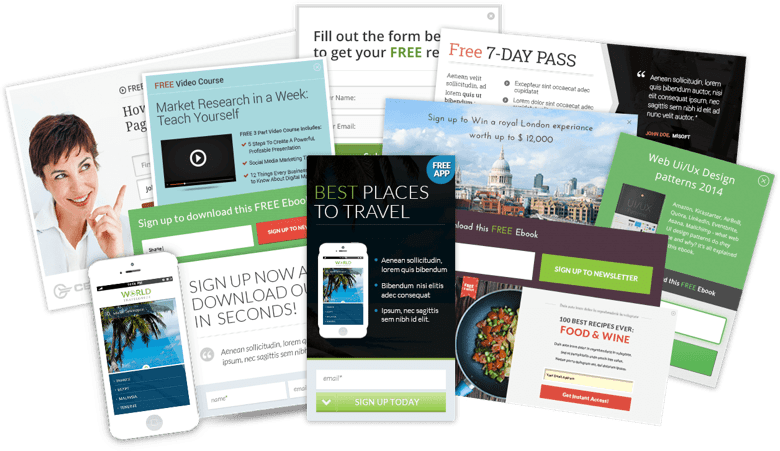 There are tons of templates, email marketing service integrations, triggers, A/B testing, and more in Thrive Leads that any other list building plugin couldn’t offer at this price. Thrive Leads is ultimate list building WordPress plugin that will help you to grow your list fast. ThirstyAffiliates Coupon Code – Get Flat 15% OFF! Yes, building an email list is a crucial part in online business. There are many lead generation tools avaliable that can help you in building an email list, but choosing the right one is a little bit hard task. Here, great to know about Thrive leads plugin. The features and the pricng of this plugin looks good. Yes, Thrive Leads is the ultimate solution for list building.